South Africa is most beautiful place on earth. It has many world heritage sites. 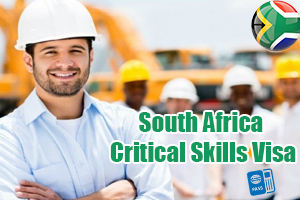 The SA critical skill work visa is also referred as working visa which is based on critical skills list which is published by the South African Department of Labour. If your profession is identified on the list, it does mean that you posses a skill set that is scarce in South Africa’s economically in demand. Thus the individual’ s need to qualify for this visa to Work in South Africa. Change is no easy thing to deal with. As human being, we have even programmed to keep as much constant as possible to maintain homeostasis, own anti change mechanism of our bodies. But often, we find that the greatest opportunity does arise from what can appear to be the most challenging of shifts. And such is the case with the South Africa’s 2014 immigration legislation revision. While the overhaul created few hurdles, the advent of the new law’s critical skills visa does bring with it the chance for few workers to find a job and seamlessly settle in South Africa which is easier than ever before . You do not need a job to get visa : Earlier, even the highly skilled professionals who could greatly benefit in the local economy would struggle to get a job in this nation because businesses were very reluctant to offer the non visa holders a job position. Individuals can rely on fair evaluation from Industry peers : For critical skills visa, approval from the relevant professional body in South Africa is essential. Individuals do not compete with their peers : The old quota visa is limited to the number of visa issued to each kind of professional. The Critical skills visa does not have such limits. Clear opportunity for permanent residency : it offers best benefits for critical skills category and it offers easy opportunity for permanent residency. Interested to Migrate to South Africa. Apply for this visa. South Africa Critical Skill Work Visa SA Critical Skills Visa, Work in South Africa. permalink. You have mentioned a valid points about South Africa Critical Skill Visa. I do agree, but the best thing is it allow us to get Work Visa without any job offer. How long does my passport have to be valid consecutively to apply for a U. S. visa? Do I require to apply after my current visa is expired or is it good practice to apply visa in advance? May I know the exact difference between South Africa Student Visa Guidance Vs Critical Skill Visa? What are the essential papers I need to submit while applying South Africa Critical Skills Visa? And what are the documents to collect my passport at the Visa Centre?